In the mid 1930s BAC's airframe and aero engine production was boosted by the UK's rearmament programme which also brought major expansion to the works at Filton and Patchway, the start of a shadow-factory system to meet demand and a big increase in employment in the city-region. The decade began with the Great Depression which had a wide-ranging impact around the world. The economic upheaval contributed to the growth of political extremists (most notably the National Socialist party in Germany) and of totalitarian oppression including Stalin's purges of the 'Old Communists' in the Soviet Union. The decade closed with the start of World War Two. It was not all doom and gloom, however, as millions escaped into the fantasy and glamour created by the Hollywood studios including Gone with the Wind, The Wizard of Oz and the backstage musicals of Busby Berkeley. 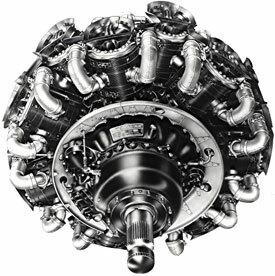 Perseus becomes world's first sleeve-valve radial engine cleared for flight. Vickers Vespa powered by Pegasus radial engine sets new world altitude record. 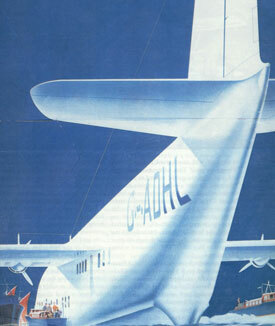 Imperial Airways London-Cape Town service begins. First female solo transatlantic flight (Earhart). Westland Wapitis powered by Pegasus engines make first flight over Everest. First flight of Boeing 272, the first modern monoplane airliner. First solo flight around the world (Post). Caproni aircraft powered by Pegasus sets new world altitude record. World diesel altitude record set by Phoenix in Westland Wapiti. BAC floated as a public company. Maiden flight of 'Bristol' Type 142 (Britain First). Built as a private aircraft for Lord Rothermere, its design will go on to form the basis of the Blenheim bomber. Maiden flight of the Bombay, which will later become one of the first UK aircraft of World War Two built under the shadow factory system. Start of rearmament programme in UK. First run of Hercules sleeve-valve. Maiden flight of Blenheim, which will go on to serve in 26 RAF squadrons in every theatre of war. Type 138A powered by Pegasus sets new world altitude record, first time record is held by aircraft and engine built by the same company. First service flight of Imperial Airway's C Class Empire flying boat Canopus powered by Pegasus. First helicopter flight over an hour in duration. Hindenburg disaster. Rotol Airscrews set up by BAC and Rolls-Royce, specialising in the design and production of propellers. 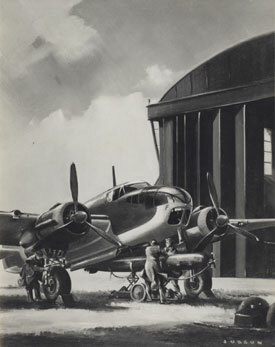 Blenheim enters service with RAF. First Bermuda-New York service by Empire flying boat Cavalier powered by Perseus. Type 138A regains world altitude record after losing it to Italians. Atlantic survey crossing completed by Empire flying boat Caledonia powered by Pegasus. Death of Frank Barnwell while piloting privately developed single-seater monoplane. Maiden flight of the Beaufort medium bomber. Vickers Wellesley sets new world distance record with Pegasus. First flight of pressurised transport aeroplane. Germany occupies Austria. Maiden flight of Beaufighter, nicknamed 'Whispering Death', a versatile long-range fighter. First transatlantic mail service by scheduled flight completed by Empire flying boat Caribou powered by Perseus. Blenheims used in reconnaissance mission to observe German ports within an hour of war being declared. Blenheims make first bombing raid on German fleet. First turbojet flight. British Overseas Airways Company formed in merger of Imperial Airways and British Airways Ltd. Air Transport Auxiliary formed. 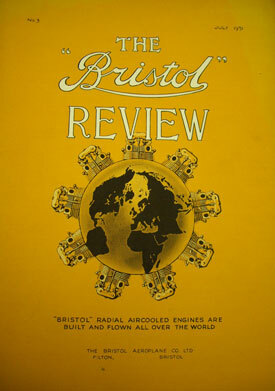 Cover of Bristol Review promoting world-beating Bristol engines, 1931 (Bristol Aero Collection). Imperial Airways' Canopus (private collection). 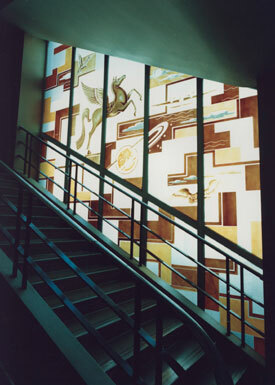 Stairway window in New Filton House (Airbus). 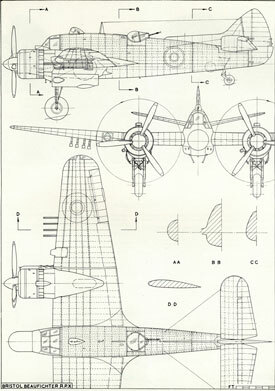 Plan drawing of Blenheim (Bristol Aero Collection). 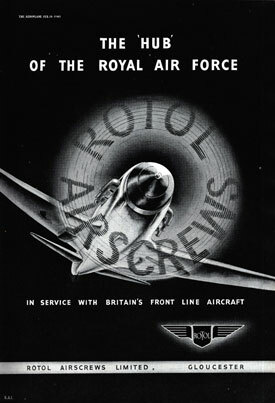 Rotol advertisement (Bristol Aero Collection). 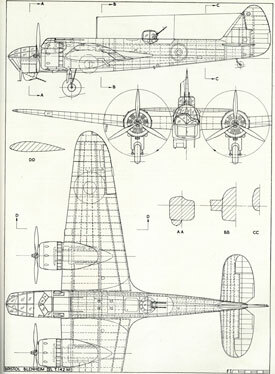 Plan drawing of Beaufighter (Bristol Aero Collection). See Hercules and other original 'Bristol' radial engines at the Bristol Aero Collection at Kemble and the Rolls-Royce Heritage Trust at Patchway. Search the Aviation Archive for images of West of England aircraft in the 1930s.